Savory clams are believed to have arrived in our region from Asia in the ballast water of cargo ships in the late 1980’s. They have since established themselves in many areas along the west coast, with the greatest concentrations appearing near Denman Island, British Colmbia and the surrounding vicinity. They are about the same size as manila clams but have a lighter shell. They are a golden brown color on the outside with an interior of purple, making for a very attractive plate presentation. 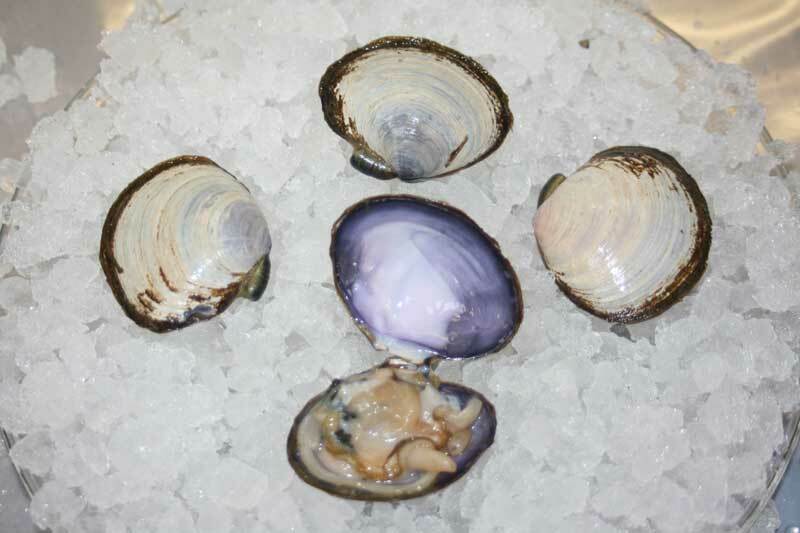 Savory clams have an excellent shelf life, almost 20% longer than that of manila clams, and in the hot summer season that percentage increases even more. In the winter these clams tend to burrow deep into the sand for protection from the cold, making them difficult to dig. Exactly how deep they go, and whether that affects their availability, is largely a function of how severe the winter is. They remain intermittently available throughout the year in milder winters, whereas they disappear entirely in those that are very cold.